When you find yourself buried in debt, it can be difficult trying to determine the best way out of it. In some cases, people turn to debt consolidation as the answer to their financial woes, thinking that making one interest payment on a large sum is better than making multiple interest payments. However, debt consolidation is the wrong answer, and working through debt issues on your own could be the right one. When you put all your debt together in one place, it can make you feel like you’ve actually addressed the issue at hand, but in fact, you haven’t done anything at all. The only task you’ve accomplished is pushing all your problems into one large pile – but the actual problem (the crushing debt affecting your life) is still very present. Maybe you accumulated your debt while in school. Maybe it was buying a new house, or losing your job and struggling to pay your bills. Whatever the cause of your debt, the fact remains, it’s there, and you can beg, borrow or steal your way out of it. Nothing is quick or easy about debt help, or addressing the problems that got you there in the first place. If your debt is from overspending habits or from living beyond your means, it’s crucial to actually figure those problems out so you don’t put yourself back in a hole once you’ve gotten your way out of one. 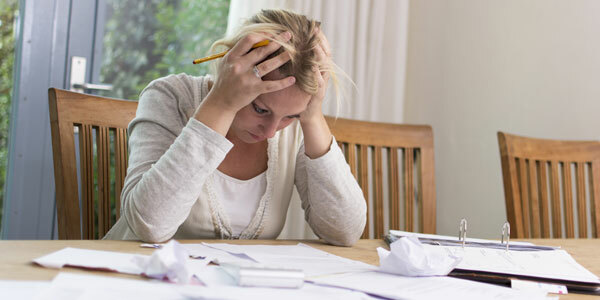 Consolidating your debt can feel like a quick and easy solution to a potentially back-breaking problem, but remember – the underlying issues are still very present, and they won’t be ignored just because you’ve put all your proverbial eggs in one basket. While it can be a tempting idea, to think of making just one payment each month instead of many, when you consolidate your debt, you make payments through a credit counseling agency, and that in turn distributes the money to your creditors. Some agencies offer concessions on interest rates, but most don’t, and there’s little way to tell how good of quality your particular agency will be. If you pick the wrong agency to work through, and it might not even be obvious right away, you could be getting swindled out of precious dollars and not even know it. In the case of many people who select debt consolidation thinking it’s going to help them, they find they picked the wrong path because the terms of consolidation don’t suit their particular needs. If your debt is in secured debts, like tax debt, child support arrearage, old parking tickets, or the like, a debt consolidation plan is actually worse for you than it is better. While upfront, making one payment may seem desirous, you have to make sure you can make that one payment for years to come, and still have enough left over for essential expenses. If your salary or wages are not steady, or if you have a lot of cash left over each month after payments and expenses, debt consolidation is a waste of time. When you agree to a debt consolidation plan, you will have to close all your credit accounts and won’t be able to get access to new ones until your debts have been paid. This can be difficult with a large debt you have to pay off for many years because if your family situation or job situation were to change unexpectedly, and you needed to be able to use a credit account, it wouldn’t be available to you. Your credit report takes a serious hit when you consolidate your debt. While consolidation differs from bankruptcy in the sense you’re still taking care of your financial obligations, when creditors note you’re paying off a debt through a third party, it can be a red flag. Essentially consolidation shows you need help paying your bills, and that is something that will follow you around for years to come. While debt consolidation will allow you to make a single payment, those payments come at a cost, which is more interest payments over time. The lower monthly payment may come from extending your payments out over more years, so you’re paying less each month, but more overall. With most debt payments, even high interest ones, you’re better off paying them down one by one. Often in debt consolidation, you’re moving your money onto a home equity loan or line of credit. It seems like a reasonable approach, but it puts your home – and family – at risk. You essentially have to guarantee your home in this case, not knowing what the future may hold. The places you owe money to are still going to be sending you account statements, which you’ll have to monitor and send back in. Agency reports do not reflect interest being charged, so if you don’t submit them, the balance the agency reports will be different from what your bank statements actually say. In the end, you could end up thinking your debt is all paid off, but because of debt consolidation, you may still be thousands in the red.